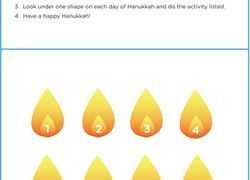 Hanukkah worksheets help you and your child celebrate the Festival of Lights! Full of Hanukkah coloring pages, DIY decorations, word games and more, these Hanukkah worksheets will help your family get in the mood for a happy holiday full of family and friends. 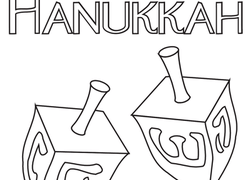 Have your child decorate a Hanukkah coloring page to hang on the fridge, complete a Hanukkah dot-to-dot, or make a few printable Hanukkah cards for friends and family with these Hanukkah worksheets.